Removable hardtops are readily available for late-model Ford Mustangs. 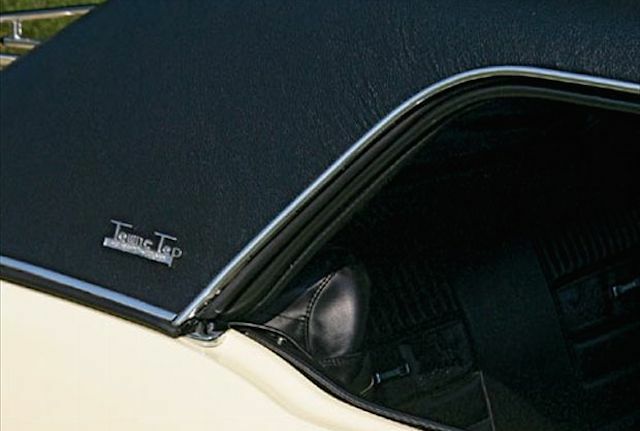 But did you know that detachable roofs date as far back as the pony’s debut in 1964? 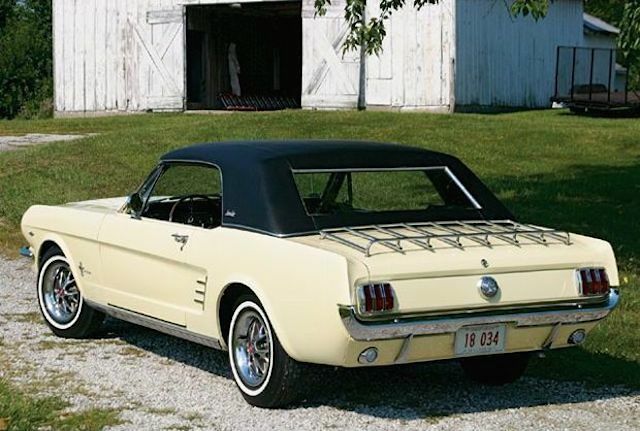 Upon Ford Motor Company‘s introduction of the Mustang, Dory Development Co. of New York began manufacturing removable hardtops for the convertible models. 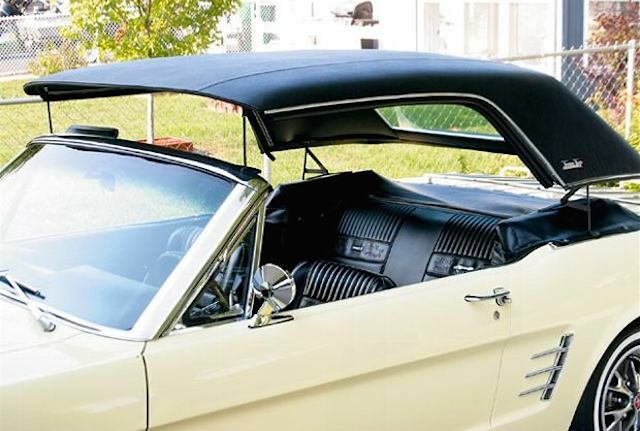 The detachable roof was marketed to Ford dealerships as a safe and practical way to protect soft tops from harsh weather. The Towne Top, as it was known, was constructed of fiberglass and upholstered in your choice of tan or black double-seam vinyl. 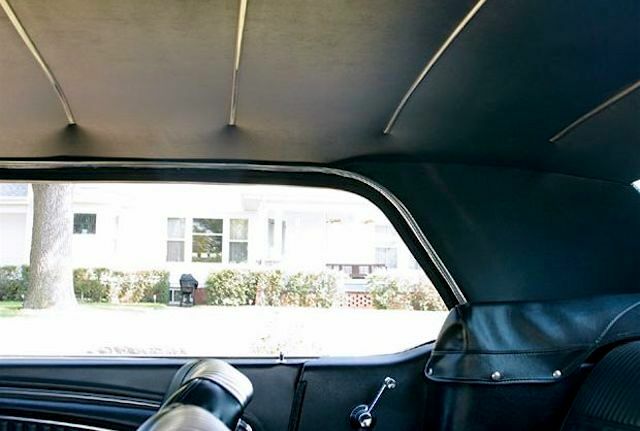 From the inside, it was finished with a headliner, sail panels, and even an optional dome light. Weighing in at around 85 lbs, the detachable roof required at least two people to install or remove it. 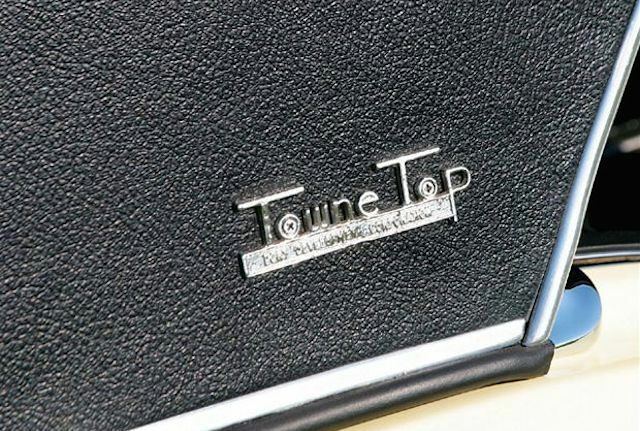 Unfortunately, the Towne Top was discontinued in 1966 due to a lack of demand. Priced at $298, Mustang owners felt it was too expensive and didn’t offer much in the way of value. With only three known to exist today, these tops are considered to be extremely rare and most definitely a collector’s item. I think i may have one of these towne tops that came with my 66 Mustang When i bought it,can anyone give me more information on them. Not sure if its original or a repo. I have Townes top that I took to have vinyl top replaced. The screwed it up and thru away the chrome trim. Is there anyone who could do restoration for me? Must be more than three I found two in one week of looking and bought one of them. Has extra set of NOS side logo trim. I went and picked up the top a white one that is ready to go on no restore needed. He had two sets of NOS side emblems, an original brochure that takes the top off and on when you open it. Tons of info for replacement pieces and probably 50 pictures of other tops. Then the guy with the other one calls and wants $750 for a basket case that you would never find the missing pieces for. It was black and had the stainless trim across the top in the rear. So maybe there are more of these than one might think if I found two in a couple weeks of looking. I purchased another of the towne tops this one is the black with the stainless strip across the rear of the top. The vinyl is not seamed like in the picture here it is one piece back to the stainless strip and then another piece from the stainless down the the trunk. Is the serial number the number stamped on the aluminum strip inside at the front passenger side? There seems to be more of these than first thought. There was a tag inside under the headliner that had #13 written on it? Hi Dallas, please let me know if you are still looking for a Towne Top. I have one with all the trim, glass and gasket. I have a town top possibly up for sale here in Florida..white on white, total original, needs to be cleaned up and restored( just old looking, no damage) I can dye it as I own a restoration shop…or fully restore with new vinyl, seals etc.. Also have the hard to find pulleys for hanging in the garage ceiling.. 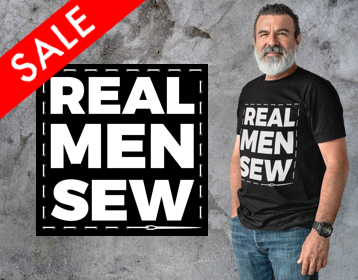 I have a top that I would sell. It has all the trim and the gasket that goes around the bottom. If anyone is interested, please let me know. do you still have the top? will it fit a 1967 mustang? I have a 64 1/2 Mustang convertible with a town top. Both are in excellent condition and will sell them together or separately. Ok, I purchased a Towne Top that does not have the vinyl on top or headliner installed. The fiberglass is in great shape but my question is this. The underside has wood framing that the fiberglass is attached. Does everyone elses have wood on the underside under their headliners?? Was this the proto-type for the Towne Top? I have the Towne top side emblems and all the chrome and rubber molding for it. It is just odd that the top would have wood framing under the fiberglass? for support I suppose?